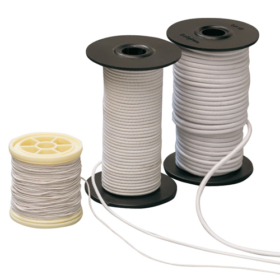 Spool of 10 m (394″). Stretchability: at least 200 %. No ageing after 6 weeks maximum stretching. Art. no. 35312 (Maximum resistance +- 200 g) For supporting the weak muscles of the fingers. Art. no. 35313 (Maximum resistance +- 400 g) For most dynamic finger splints. Art. no. 35314 (Maximum resistance +- 600 g) For dynamic wrist extension splints or for very persistent finger contractures.